FOUNDATION XI CRICKET TOUR OF ENGLAND, 2013 | The International Cricket Hall of Fame. All members, their guests and friends are welcome to join the tour and play cricket on wonderful grounds such as Hambledon, Ridge Meadow and Belvoir Castle, England. 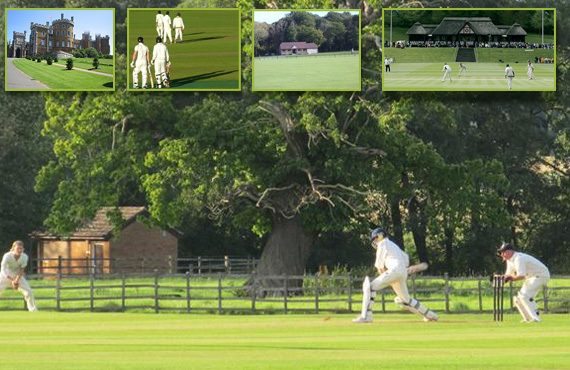 Ten matches have been organised into this relaxing and desirable cricket tour of England. The total package includes return international airfares, 23 nights accommodation, and full breakfast each day. For as little as $6,500 per person, you could be enjoying the atmosphere of like-minded-cricket-tragics on the field, playing on some of England’s best groomed pitches and savour the freshness of the English countryside in summer. The tour requires a minimum of 25 confirmed bookings. Please download the attached for a complete Foundation XI Cricket Tour itinerary. Not a member? Not a problem! Memberships can be purchased anytime for a one off fee of $400. This includes unlimited free entry to the Bradman International Cricket Hall of Fame, advance notice and discount entry to all events at the Foundation and a regular e-newsletter to keep you up to date on all cricketing and member news. Membership also allows you to play for the Foundation XI on Bradman Oval and take part in tours. AS WELL a personalised Bradman Crest including an allocated member number, placed on the picket fence in the Bradman Centre. Please download information and a registration Bradman Crest Membership.